Mannheim, 21 August 2017… Prof. Hanns-Peter Knaebel (48) will be the new CEO of Röchling, a plastics specialist. On 1 October 2017, he will join the Executive Board of the Röchling Group and be in charge of Medicine as Vice-chairman. On 1 January 2018, Knaebel will then take on the position of CEO, as Ludger Bartels (64) will be retiring at the turn of the year. Hanns-Peter Knaebel has a PhD in medicine and was Aesculap’s CEO over the last eight years. He also represented Aesculap on the Executive Board of B. Braun Melsungen AG, a medical technology manufacturer based in Melsungen, Germany. “Last spring, when I found out in the press that Hanns-Peter Knaebel would be leaving Aesculap in April 2017, we reacted immediately,” said Johannes Freiherr von Salmuth, Chairman of the Supervisory Board of the Röchling Group. Röchling is delighted to have Knaebel on board as an experienced and innovative business leader and renowned ”medical technician.” This is because medical technology is the most significant strategic growth segment for the Röchling Group. Prof. Hanns-Peter Knaebel was born in 1968 in Stuttgart. He studied medicine in Ulm and Tübingen in Germany and at Yale University in the USA. After completing his studies and obtaining his doctorate in 1995, he began his medical work in the Department of Surgery at Heidelberg University Hospital. He worked there for 12 years and spent the last five years of this period as a Chief Physician. At the end of the 90s, he dealt with various aspects outside the area of curative medicine, particularly medical quality management in the field of surgery. The physician played a major role in building up the Clinical Study Center of the Department of Surgery at Heidelberg University Hospital and the study center of the German Surgical Society. From 2004 to 2006, parallel to his work he studied for a degree in economics at the University of Salzburg, Austria, which he completed with a Master’s of Business Administration (MBA). In the same year, he qualified as professor at the University of Heidelberg’s Medical Faculty. In 2007, Knaebel became the Head of the Clinical Science Department at Aesculap. Five months later, he was entrusted with global responsibility for Marketing and Sales. 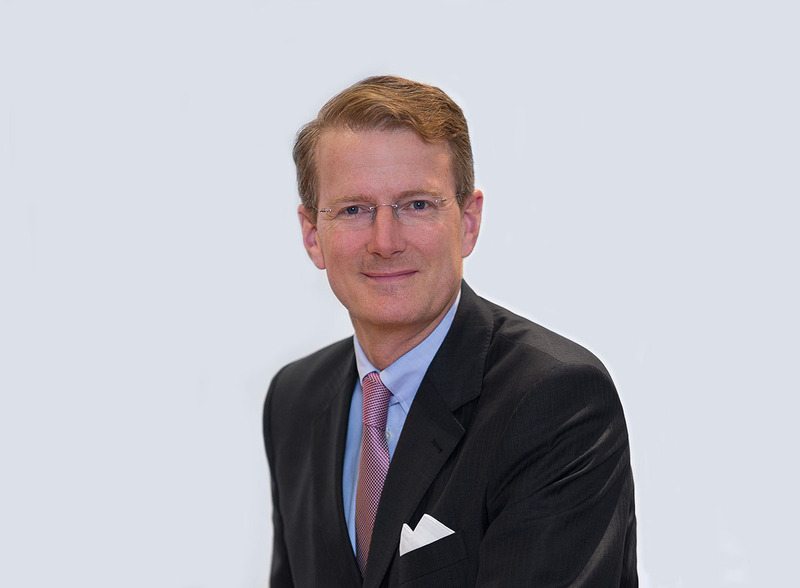 In 2008, Prof. Knaebel was appointed as a member of the Executive Board of Aesculap AG and was its Chairman from 2009 onwards. He represented Aesculap as a member of the Executive Board of the family-owned company B. Braun Melsungen AG. He was also the head of the “Innovation at B. Braun” working group on the Executive Board and was thus responsible for global innovation management. He also was responsible for and managed “Digitalization at B. Braun,” a strategic initiative as part of the strategy for 2020. In addition to his managerial responsibilities, the father of four is still actively working in research and teaching. In 2010, Heidelberg University appointed him as an Associate Professor. Since October 2012, he has been a member of the University Council over which he has presided since 2015. In addition, Knaebel has served as an advisor to various bodies of the regional government of Baden-Württemberg. Erwin Doll (Automotive), Franz Lübbers (Industrial), Steffen Rowold (Finance) and Ludger Bartels (as CEO until the turn of the year) will remain members of Röchling’s Executive Board alongside Knaebel.